Hyun Youk (Bionanoscience) has been selected as one of the 12 early career researchers who will join the CIFAR Azrieli Global Scholars program. Youk will receive a prestigious two‐year term with 100,000 dollar in research support. The new cohort of CIFAR Azrieli Global Scholars will join close to 400 of the world’s best researchers at CIFAR who are addressing some of the most interesting and important questions facing the world today. Each scholar will receive $100,000 in research support and becomes part of one of CIFAR’s twelve research programs for two years. “I’m very humbled and grateful for CIFAR's support and, in reality, its recognition of my students' hard work and creative ideas - not mine. I’m glad that they will also benefit from the support”, said Youk. Members of the program’s 2018 cohort come from Israel, Singapore, the Netherlands, the United States and Canada. Their diverse areas of research interest range from renewable energy to astrophysics, how the microbes that live on and in us influence our health and evolution, and understanding consciousness. 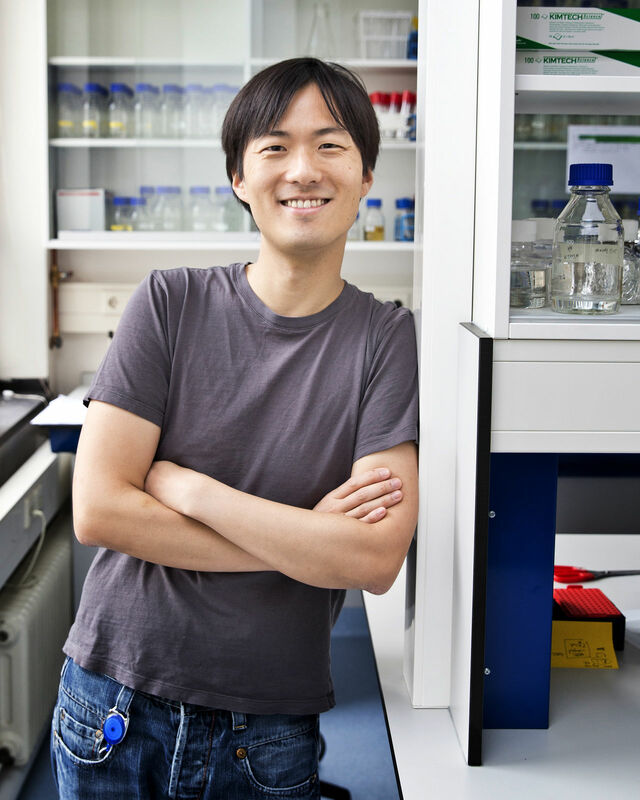 Hyun Youk will join the Molecular Architecture of Life program, which is untangling the details of the complex molecular processes that underlie all living systems, with implications for everything from our understanding of evolution to our ability to treat disease. The CIFAR Azrieli Global Scholars program funds and supports researchers within five years of their first academic position, helping them build research networks and develop essential skills needed to become leaders in global research. CIFAR Azrieli Global Scholars also have an opportunity to amplify the outcomes of their research beyond academia by engaging in opportunities to exchange ideas with policy‐makers, business leaders and practitioners.